It’s been a rum old couple of months recently. Work has conspired to utterly destroy any disposable time I would normally enjoy, and gaming has been the biggest casualty. I’m now basking in the rays of a few precious days off, and all the gaming goodness has come flooding back in. First I’ve had some excellent work to review for some projects that should see the light this year. It’s a rare treat to get an editorial voice on things at such an early stage. I liked that. I’ve also had the chance to sit down with my notebook and get properly stuck in to my game prep for the redoubtable Seven Hills con. They say pre-published scenarios are great for the time pressed. I spend so long reskinning and hacking them that arguably I’d have been better off starting from a blank sheet. Trouble is, I need a spur, and that’s what I pay for I guess. At least it’s coming together nicely. I’m running three games of D&D, all linked in a loose trilogy. The grunt work has been generating five PCs, each at three different levels (3, 7 and 11) and transferring them onto decent character sheets. 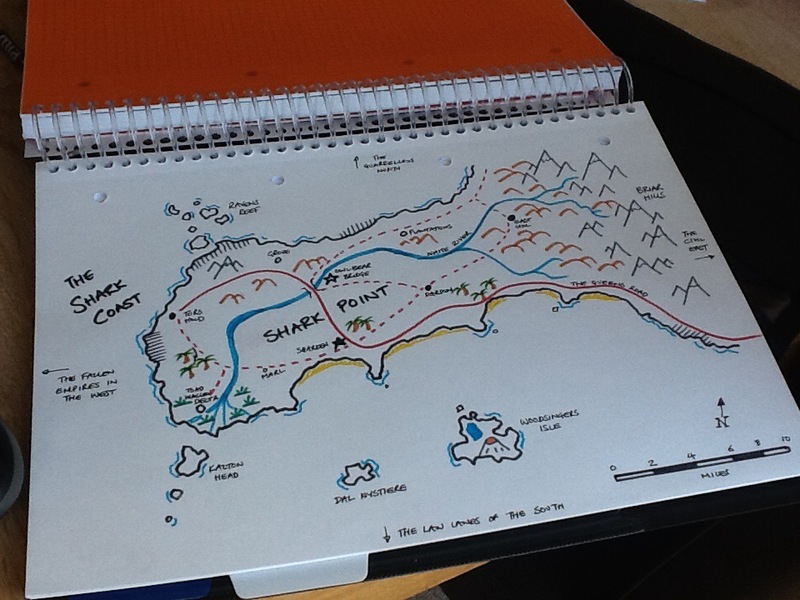 The cool work has been drawing and annotating maps with felt tip and pencil. 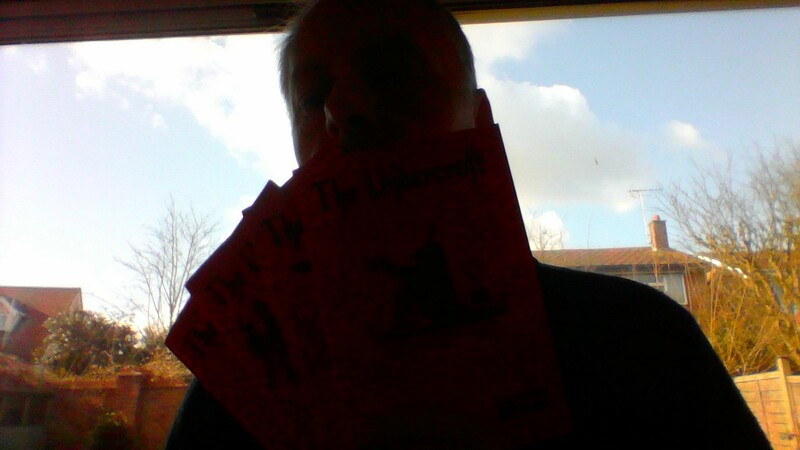 And then this morning I get a delightful surprise through the letterbox from my old friend Dan Sell who has been kind enough to let me have hard copies of his excellent zine The Undercroft. I really should return the favour and send him some of my scribblings and etchings. But that might have to wait for another week off work.